Alfred Dronge opens a music store called Sagman & Dronge with partner Barney Sagman, located on 130 Park Rowe in New York City. A couple years later, Alfred buys out his partner and changes the business' name to Alfred Dronge Music. Alfred Dronge registers Guild Guitar Company after partnering with George Mann, ex-Vice President of Epiphone Company. The first Guild Guitars are produced at 536 Pearl Street in New York City. Due to Al Dronge's passion for jazz music, Guild concentrates solely on the production of full-depth hollow body electric guitars for their first year. In the next few years, Guild makes their first flattops, followed by acoustic archtops. Models such as the X-175 Manhattan, M-75 Aristocrat, F-30, F-40, and F-50 are introduced. In 1956, production moves from New York City to Hoboken, NJ. It was during this time period that Guild hires most of the people who are responsible for the tremendous growth of the company during the 1960s, such as Bob Bromberg (general/plant manager), Gilbert Diaz (final assembly), and Carlo Greco (luthier). Due to Dronge's ties with the New York jazz scene, Guild's list of endorsees include Johnny Smith, Don Arnone, Carl Kress, and Barry Galbraith, among others. Guild's first collaboration with an artist (Johnny Smith) results in the Johnny Smith Award model, which was made from 1956-1960. Some very popular models came out of this decade, namely the Starfire models, the Thunderbird, S-100 Polara, and Guild's first 12-string and bass guitars. This is the decade in which Buddy Guy becomes synonymous with the Starfire IV, Muddy Waters champions the Thunderbird, and Bonnie Raitt picks up her first Navarre F-50, which is a new version of the F-50 with rosewood back and sides. Guild also begins making their first classical guitars, inspired by Carlo Greco and named after Al Dronge's son Mark. 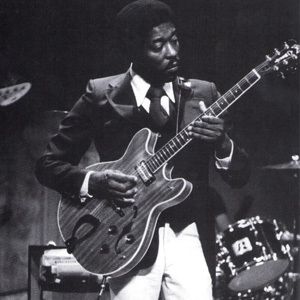 After Guild parts ways with Johnny Smith, they developed signature models with George Barnes (George Barnes AcoustiLectric, "Guitar in F"), Duane Eddy (DE-400), and Bert Weedon (Bert Weedon model). In 1966, the company is sold to the Avnet Corporation, and production moves from Hoboken to Westerly, RI. The first guitar to come out of this factory is an M-20 in 1967. 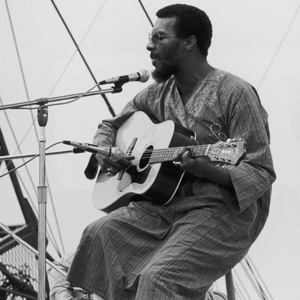 In 1969, Richie Havens wows the world when he opens the Woodstock Festival in 1969 with his Guild D-40. The D-40 and D-50 go on to become mainstays in the Guild line. In 1972, Al Dronge dies in a plane crash, marking the end of an era for the Guild Guitar Company. Leon Tell assumes Presidency in 1973. Guild's 12-string and jumbo-sized guitars pick up steam; on the other hand, Guild overhauls their entire range of solid-body electrics, including the basses. These models include the M-85 bass, JS Bass I & II, S-100, S-300, and new solid-body versions of the recently re-issued M-75 Bluesbird, called the M-75GS and M-75CS. Guild also designs and produces the first dreadnought guitar featuring a cutaway (the D-40C), and makes the first dreadnought-shaped 12-string guitars (G-212, G-312). During this time period, the "G" designation for a dreadnought guitar crops up, although why it is introduced remains a mystery. Little known fact: at the beginning of 1970, Jimi Hendrix purchases a left-handed F-212 12-string model from the infamous Manny's Music in New York City. With the popularity of the heavy metal and hard rock scenes, Guild introduces many solid-body guitars and basses with body shapes and design features aimed to suit the style of these players. Popular models from this time include the X-82 Starfighter, S-80 Flyer, X-79 Skyhawk, SB-66E Bladerunner, and the SB Pilot basses. On the acoustic side of the business, Guild partners with George Gruhn (famed American guitar historian and owner of Gruhn's Guitars in Nashville) to create a new range of flattop guitars, including the D62, D64, D66, F42, F44, and F46. Guild also continues to expand on their existing range of flattops. Artist models from this decade include the Hank Williams, Jr. (also called the G-45), and the DE-500, a reissue of Duane Eddy's original guitar. In 1983, the Talking Heads' groundbreaking live concert "Stop Making Sense" is filmed. Lead singer David Byrne uses his solid-body Guild. In 1990, Stevie Ray Vaughan plays a Guild JF6512 on MTV Unplugged. In 1993, Guild builds a double-neck guitar for Slash, called the Crossroads. This is a red semi-acoustic 12-string at the top, and 6-string electric on the bottom. As the story goes, Slash designed this guitar on a napkin. His idea came about because he needed to be able to quickly change from acoustic to electric, without having to change guitars mid-way through a performance. A green version dubbed "Godzilla" is made later in the 90s, and accompanies him during the tail end of the Guns N' Roses years, as well as with Velvet Revolver. Guild also partners with Brian May and creates the Brian May Signature series, a limited run of 1000 solid-body guitars. Three versions are created: the Brian May Signature, Brian May Special, and Brian May Standard. In 1994, Soundgarden releases "Superunknown," featuring the hit "Black Hole Sun." Guitarist Kim Thayil, who found his signature Guild S-100 at age 19, is touted as a major influence and pioneer of the "Seattle Sound". In 1995, Fender Musical Instruments Corporation purchases the Guild brand. In 1998, the Goo Goo Dolls releases "Iris" for the City of Angels Soundtrack. This iconic song from the late 90s catapults the band to stardom and brings them their first three Grammys, including Record of the Year and Song of the Year. Lead singer and guitarist Johnny Rzeznik wields an arsenal of Guilds, including jumbos, 12-strings, and the S7CE Peregrine. In 2001, Guild is moved from Westerly, RI to Corona, CA. In 2004, production moves again to Tacoma, WA, where Guild ceases to make US-made electric guitars. A few years later, production moves again to New Hartford, CT. In the early 2000s, Guild's new GAD ("Guild Acoustic Design") series is released, based on iconic American designs. In 2002, Tom Petty plays a Guild 12-string during the Grammy Award-winning film, "Concert for George," held on the first anniversary of George Harrison's death. In 2003, Sheryl Crow plays a Guild M-85I bass on her hit single "The First Cut is the Deepest" while performing at Farm Aid. The Black Keys releases their album "El Camino" in 2011; guitarist Dan Auerbach flaunts his 1964 Guild Thunderbird playing "Gold on the Ceiling" on The Late Show with David Letterman. Guild collaborates with Doyle Dykes, whose signature model is released in 2012. "When I saw the guitar for the first time, I saw reflections of my life and relationships," Dykes said. "The Duane Eddy vintage-style 'G' on the headstock, the Chet Atkins-style fret markers, the beautiful roses on the bridge that depict a heartfelt family story, and the Guild name have all been a part of my life since I was a boy." In 2012, Guild artists St. Vincent and David Byrne collaborate on the studio album "Love this Giant." They perform on The Jimmy Fallon Show; Byrne wields his Guild F15-CE. In 2013, the opening of the Guild Custom Shop is announced as Guild celebrates their 60th anniversary. The Orpheum Series is released; designed by Ren Ferguson, these models hearken back to the design and construction techniques of the 1930s. Guild also releases a limited run of 60 guitars called the 60th Anniversary model. In 2013, Guild also releases the Newark Street collection, re-releasing classic electric Guilds from the 1950s and 1960s, including the Starfire models, M-75 Aristocrat, and A-150 Savoy. More models are added to the line in 2014. In 2014, Guild is acquired from Fender Musical Instruments Corporation by Cordoba Music Group. Ren Ferguson signs on as VP of Manufacturing and R&D. Production of USA-made Guilds returns to California. In 2015, the GAD (Guild Acoustic Designs) Series is replaced by the Westerly Collection. New models such as the T-50 Slim, Starfire IV ST, and the Chris Hillman Bass are added to the Newark St. Collection. In December 2015, the first M-20 and D-20 were produced out of the Oxnard, CA factory. In April 2016, the first M-20 and D-20 were shipped to Chicago Music Exchange. Special thanks to Hans Moust, author of The Guild Guitar Book, and Ted Beesley, author of Guitar History Volume #5.